Kristofer Collins is the Books Editor at Pittsburgh Magazine, as well as being a frequent contributor to the Pittsburgh Post-Gazette. He is the publisher of Low Ghost Press and Coleridge Street Books. He also manages Caliban Book Shop (and owns Desolation Row Records located inside). I first met the poet Frank O’Hara in the early 1990s. I was in the process of abandoning the writing program I was enrolled in at a local university for the much less muddied waters of the religious studies department; and, for his part, Frank had been dead for a little over twenty-five years. Frank and I met in a seedy bookshop on campus, a second floor walk-up promisingly dubbed Ice 9. In the airless front room of the shop were displays of toe-curlingly pornographic photo collections, dusty issues of Re/Search featuring Throbbing Gristle and Brion Gysin, and excitingly garish works by Kathy Acker, Jack Black (hobo author of You Can’t Win fame), and J. G. Ballard. Perusing the makeshift shelves in the smaller rear room I came across a small display of poetry titles including a healthy dollop from the City Lights Pocket Poets Series. Ginsberg, Ferlinghetti, Kerouac, I ran my finger across the familiar spines. But ho! What’s this? I had never come across this dual-toned orange and green volume before. Number nineteen in the series was by some hungry dude named O’Hara. Guess I should check it out. He’s referring to the Buccos’ win in game seven of the 1960 World Series against the New York Yankees . The home run blasted by Bill Mazeroski to finish off the Yanks at Forbes Field was hit less than a half a mile from where I bought Lunch Poems. Frank O’Hara wrote about my hometown as a place of joy, a place of celebration, a place worthy of depiction in poems. This poet so associated with New York City gave me the gift of my own city. 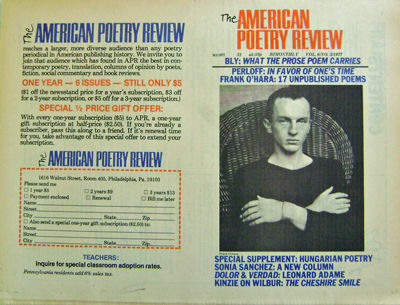 Frank O’Hara is most closely associated with the so-called New York School of Poets, which originally consisted of O’Hara, John Ashbery, Kenneth Koch, and James Schuyler. 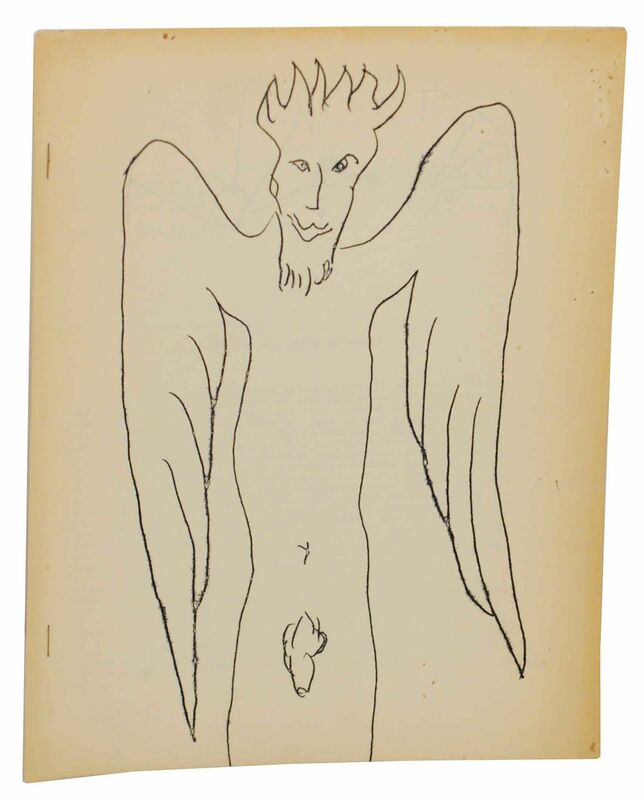 The New York School moniker was essentially a marketing gimmick invented by John Bernard Myers, director of the Tibor de Nagy Gallery, to siphon some of the heat generated in the press by the New York School of Painters, namely abstract expressionists such as Jackson Pollock, Willem de Kooning, and Robert Motherwell, over to this small group of young poets Myers was publishing in fine limited editions. 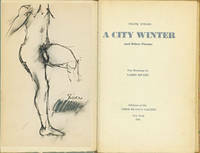 Frank O’Hara’s first published collection was A City Winter from Tibor de Nagy Editions in 1952. 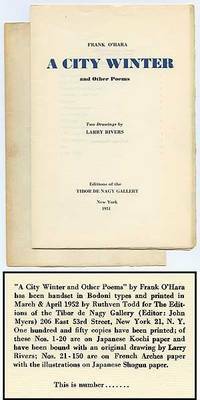 Myers would go on to publish two further collections of O’Hara’s poems, Oranges: 12 Pastorals in connection with a 1953 exhibition of collaborations with the artist Grace Hartigan and Love Poems (Tentative Title) in the spring of 1965, the last collection of O’Hara’s work published in his lifetime. New York: Editions of the Tibor de Nagy Gallery. 1951. First. 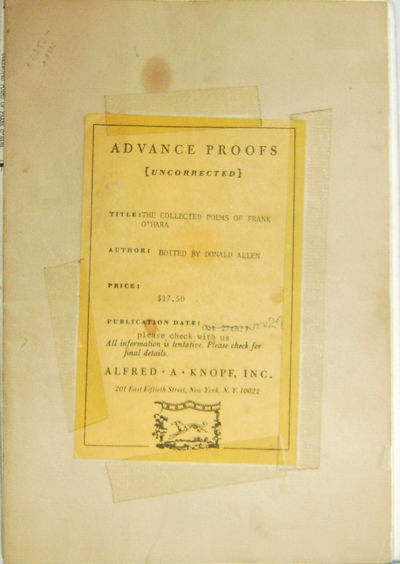 Illustrated folded and gathered sheets of the first edition, which was limited to 150 numbered copies (this copy unnumbered). With two drawings by Larry Rivers. Minor soiling to the outer wrap else fine in wrappers. A rare advance of unbound format of the poet's scarce first book. By all accounts O’Hara was a dervish of activity from 1954-64, not only producing a voluminous amount of poems, but also occasional plays, collaborating on films, teaching a poetry workshop at the New School for Social Research, acting as art editor for the quarterly Kulchur, writing monographs on Jackson Pollock, Robert Motherwell, Franz Kline, David Smith, and Reuben Nakian, and working at the Museum of Modern Art, first as an assistant in the International Program where he aided in organizing and overseeing many traveling exhibitions, then as an assistant curator. No wonder he understood the only time to read or write his poems was during squeezed-in lunch hours. O’Hara was featured in an episode of USA: Poetry, which aired on public television (and can be found on YouTube) in 1966, a few months after his death. One brief scene perfectly encapsulates O’Hara’s artistic methods: Frank bangs away at a typewriter composing a film script with Alfred Leslie while smoking a cigarette, talking on the telephone (some of which conversation Frank then incorporates into the script which he has not stopped typing), while listening to Leslie’s idea for the scene being composed, and at the same time addressing the cameraman. By 1966, however, O’Hara’s poetry production had slowed down considerably, while inversely his responsibilities at MOMA had greatly increased. In the spring of that year O’Hara traveled to the Netherlands to install and introduce a large exhibition of David Smith’s work. After returning to New York he curated MOMA’s retrospective of Nakian. Only three brief poems have surfaced from those final months. feels practically straitjacketed in the lines of the later poem. There’s a stiffness to the rhythm in the lines and a labored quality to the imagery (“twisted ropes of sound encrusting our brains”); gone is the lively snap found in O’Hara’s earlier and more ecstatic work. Back from Paris, to celebrate your return. Dead flies, sleeping cats, snow gone to mush. This is not the imagery of celebration such as one finds in the earlier poem, “Today,” which starts, “Oh! kangaroos, sequins, chocolate sodas!” – rather, this is hushed melancholy. Absent entirely from these last poems is what James Schuyler called O’Hara’s “intimate yell”. 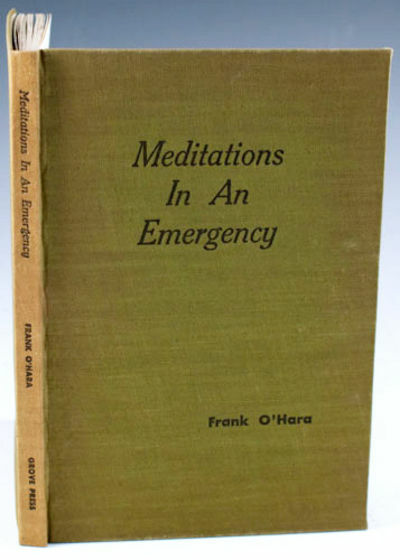 By 1966, O’Hara’s poetic voice was reduced to a melancholic whisper. In a letter to O'Hara dated March 27, 1956, Schuyler offers as fine a description of what it feels like to read O’Hara’s best poems: “Your passion always makes me feel like a cloud the wind detaches (at last) from a mountain so I can finally go sailing over all those valleys with their crazy farms and towns.” Whether it was O’Hara’s workload at the museum, his increased drinking, loneliness (a rapprochement with his lover Vincent Warren, the subject of some of O’Hara’s finest love poems, did not pan out) or a combination of all three, the infectious buoyancy described by Schuyler has certainly disappeared. fly into the ordinary sun. Here Frank, even though he is likely referring to the Stravinsky opera “Oedipus Rex” for which his friend Larry Rivers had recently designed the sets, seems to have acknowledged his own diminished powers. Brief and epitaph-like, these are not exactly ringing last words. New York: Alfred Knopf, 1971. First Edition. Paperback. Very Good. Advance Uncorrected Proofs of this influential collection. Unbound signatures in very good condition. Early state and quite scarce. Don't miss an article from The New Antiquarian blog. Subscribe to the ABAA email newsletter!